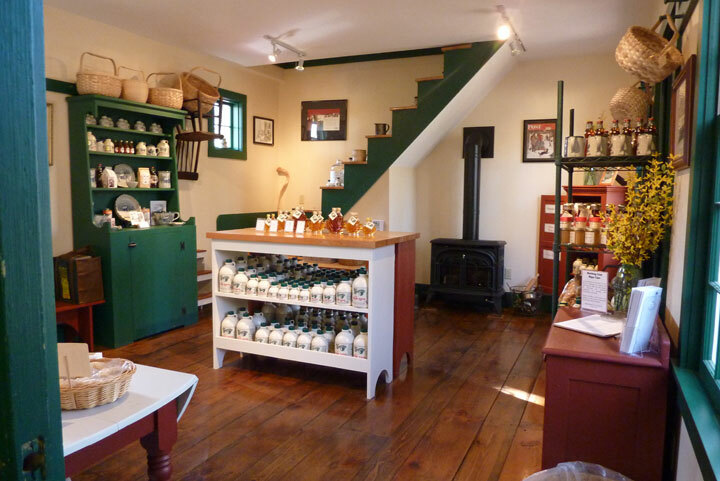 After a few years we decided to add on to the original sugar house with a shop area to get our products out of the steam and allow for more room indoors out of the cold. The inspiration came form the small houses we saw at Colonial Williamsburg. Just the right size and very charming according to most of our visitors! Open on Demand - just call 603-370-0908 to make an appointment to stop by. Other hours throughout the year are posted at the bottom Right Corner of the Home Page or on Facebook.